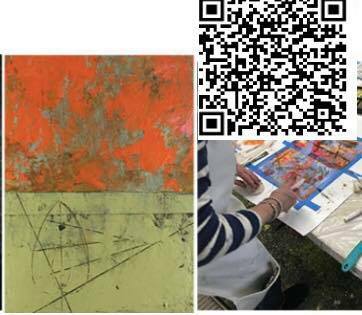 Abstraction Expression and mark making: With this workshop, the sky’s the limit. You really can’t mess this up. We get to experiment with some Williamsburg Oil Paint Cold Wax, Golden Heavy Body Acrylic, Golden OPEN Acrylic, Golden Fluid, and some Golden Gels to top it all off. We can even create a Cold wax and Encaustic finish. This is a expressive art and mark making class with so many different end results that you will just dive in and go for it. Other tools we will use is charcoal, pencil, rubber shapers, palette knives, and etc.All you need to bring is yourself and a willingness to have fun and experiment. 1 Day Workshop.